Over the weekend, the status of an HTC One coming to Verizon took a turn for the worse. After reports from both us and AllThingsD suggested that Big Red would carry HTC’s new flagship even though it was left out of their press event for the device, the official HTC USA Twitter account came out and said as plain as day that the device “will not be available on the Verizon network,” and that HTC fans should turn to the DROID DNA as an option. Then today, AllThingsD returned to back their original report, claiming that you should not believe everything you read on Twitter, because some times official folks aren’t always in the know. They also pointed out that the Tweet from @HTCUSA has since been deleted, which may or may not be a sign of a mistake made by the controller of this Twitter account. So what do we make of all this? Is the One coming to Verizon or not? We know this – HTC Tweeted over the weekend that the One was not coming to Verizon and then proceeded to delete that Tweet after it caught some traction around the tech media world. What we’d also like to point out, is that if you go back to March 11, you’ll see a variety of Tweets from the same account that all suggest that the One is not coming to Verizon. These are all still live and have not been deleted. That could mean a variety of things, so we’ll hold off from speculating. 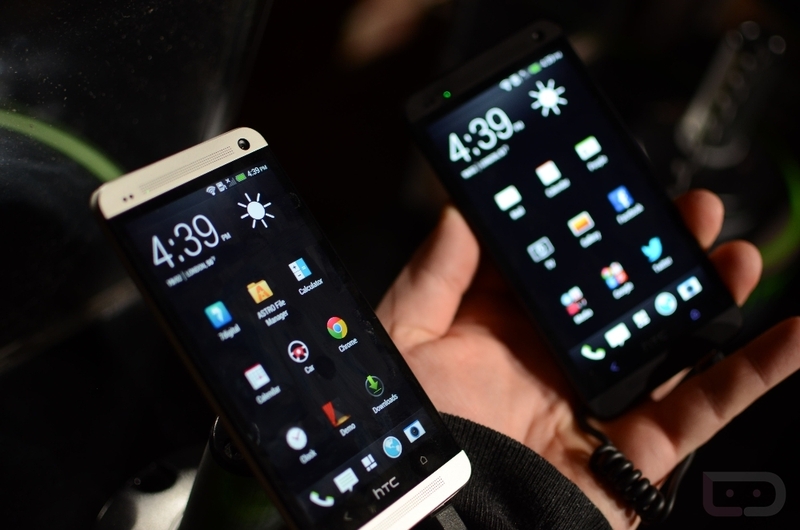 One thing we’re pretty sure we know, is that a device made by HTC with identical specs to the One is headed to Verizon. It’s currently carrying the codename “DLXPLUS,” model number HTC6445LVW, and has already passed through Bluetooth SIG. It’s coming, it’s in testing, and it’ll likely be incredibly similar to the One. Will it be branded as the “HTC One?” I’ve said all along that I would be surprised to see this as a part of the One brand and instead feel as if it will be a part of Verizon’s DROID brand. So at this point, it’s still up in the air as to whether or not this phone will be One or DROID branded, but I think it’s safe to say that a device very similar to the One is still coming, it just won’t be here for a couple of months.